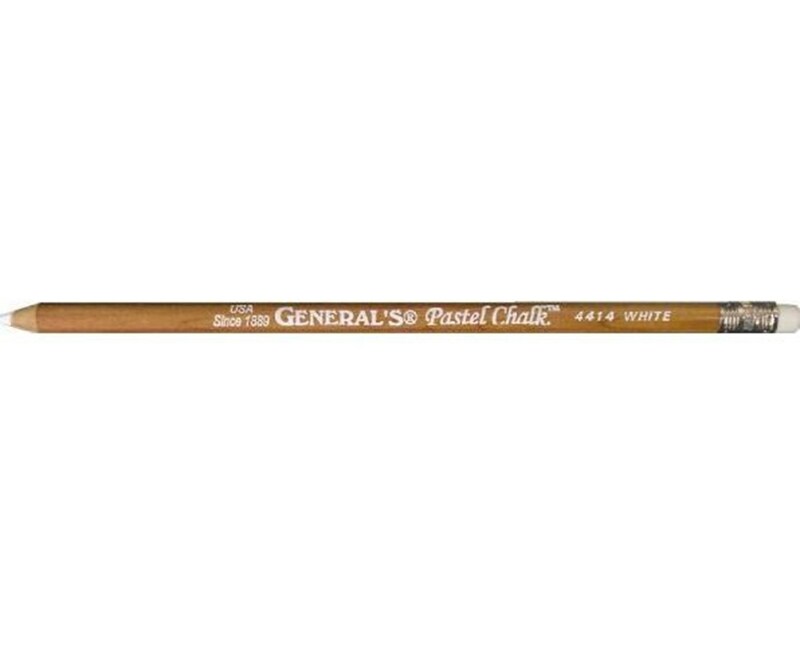 The General’s MultiPastel Pastel Chalk Pencil (Qty. 12) is a functional and versatile pastel pencil. It features a genuine incense cedar wood barrel that ensures durability and long-lasting performance. This artist quality pastel pencil is handcrafted to perfection and uses the finest pigments to provide extra smooth colors that are excellent for outlining, shading, lettering, and other drawing techiques. This pastel pencil is acid-free and has no oil. It is ideal for adding accents and creating dramatic effects as it is easily blendable. Simple materials such as a kneaded eraser, tissue, paper stump, or even a finger can be used for blending. A perfect tool for multi-media artworks, it is also archival quality. 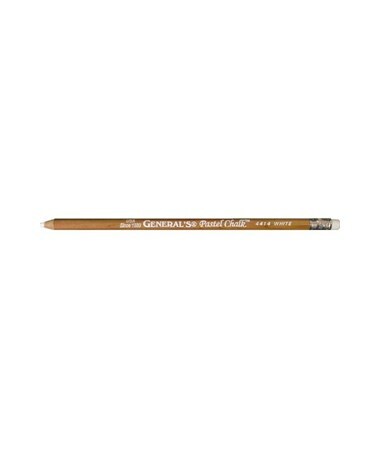 The General’s MultiPastel Pastel Chalk Pencil (Qty. 12) accommodates a wide variety of drawing applications. It contains 12 pieces of pre-sharpened white pastel chalk pencils and a pencil sharpener. Each pencil is readily usable and is equipped with an extra soft vinyl eraser for additional functionality.